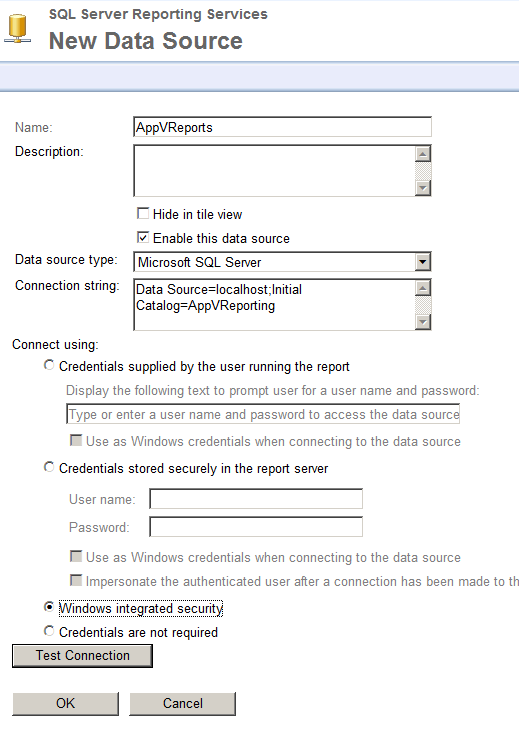 There are quite a few articles out there to setup and configure App-V 5 and the Reporting server along side SQL Server Reporting Services. All of the above deals with getting the server up and running, the client to send data and to ensure that this is properly processed into the database. I have spotted one query against the database on – which shows some basic information about application usage using SQL Management Studio. Where are the reports? Well – SQL Server Reporting Services isn’t very friendly for a novice and to get started might be very daunting. So, here is a starting point! Use the above information to get started – have a server setup and a client (or more) reporting in. As you can see I have multiple reports setup and ready to go. Lets get you started! 2. Setup the new connection. Most likely it will look something like this in a small lab environment. 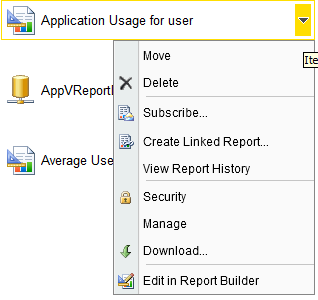 AppVReporting is the default database-name for the App-V Report database. Localhost should match your SQL Server hostname. Set Windows Security to use your own windows credentials to authenticate (or the user who access the reports). Click Test Connection to test the connection. Once all is set and done – click OK! 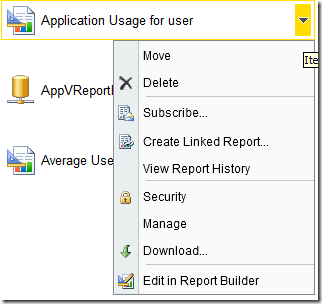 Download the report Application Usage for user. 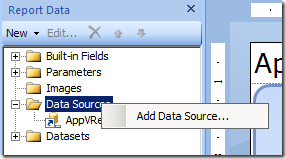 Locate the downloaded file and upload it into the SSRS repository. 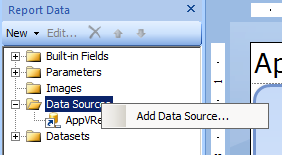 You can choose to delete the Data Source, or edit the existing one. In the end – you should point to the previously created Data Source. As you can see – the previous created Data Source is visible in the list. Click OK to finalize. Select Save and close the Report Builder. 7. Enter the user you are interested in to display the report. For example MYDOMAIN\username. Click View Report. Tim Mangan has made some reports available on his site, TMUrgent. Check them out! 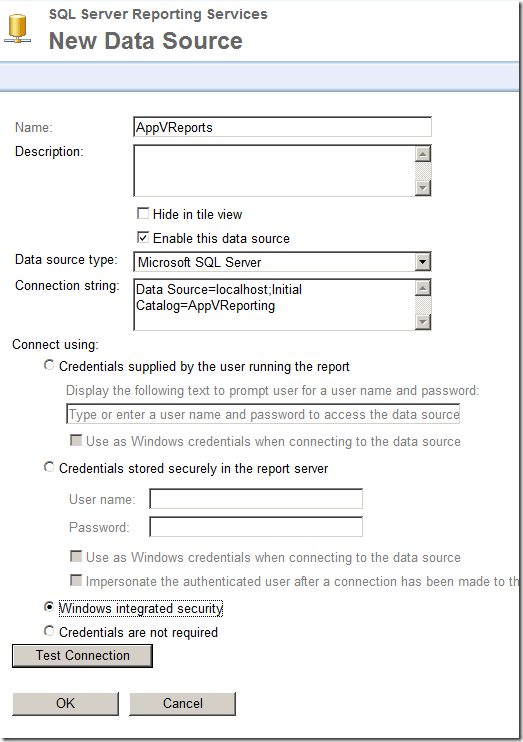 2014-05-06 – Microsoft made additional reports available! Thanks for the post, the timing was useful as I was in the process of setting up my lab with reporting services. By the way, the posting you found for the query was from me (my blog is syndicated through MyITForum as well). I kind of chuckled that is was mine. What does this configuration look like when you install the database on a separate server from the reporting server? 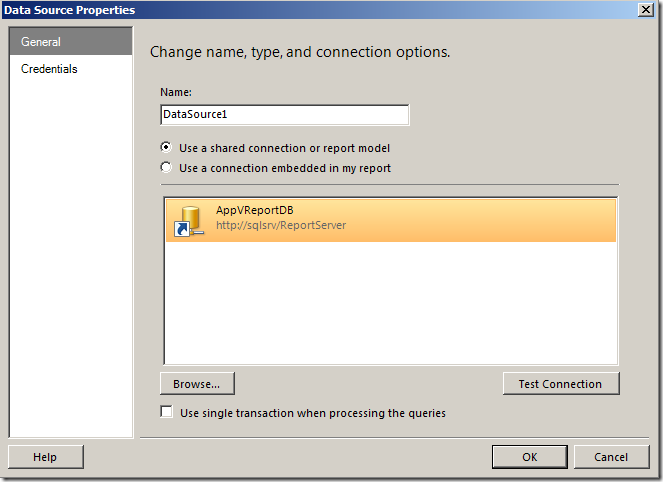 Where does SQL Server Reporting Services (SSRS) get installed and configured?